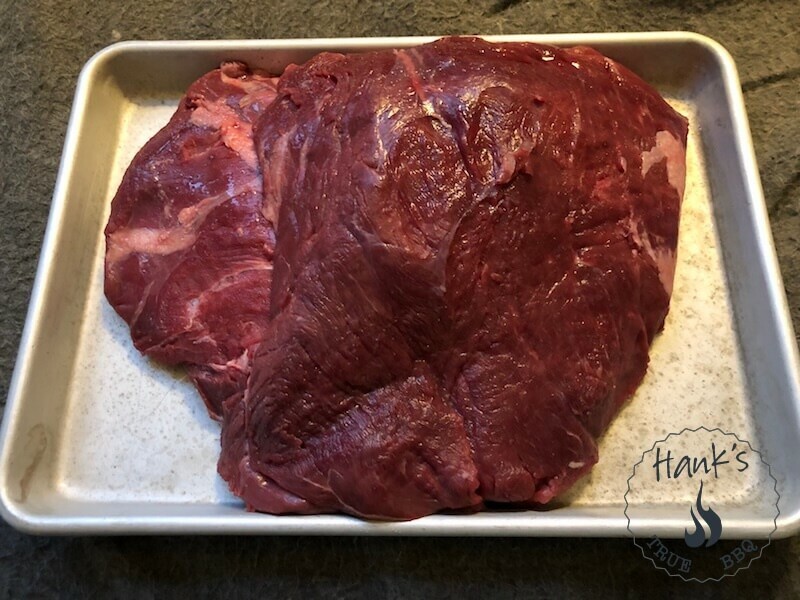 Moose Chuck Roast is a cut of beef that lends itself perfectly for some true barbecue. It contains fat and connective tissue which means low ‘n slow will do the trick. Here’s how I smoke it. It cooks faster than a beef chuck roast, aim for 5-6 hours (excluding the rest period at the end). 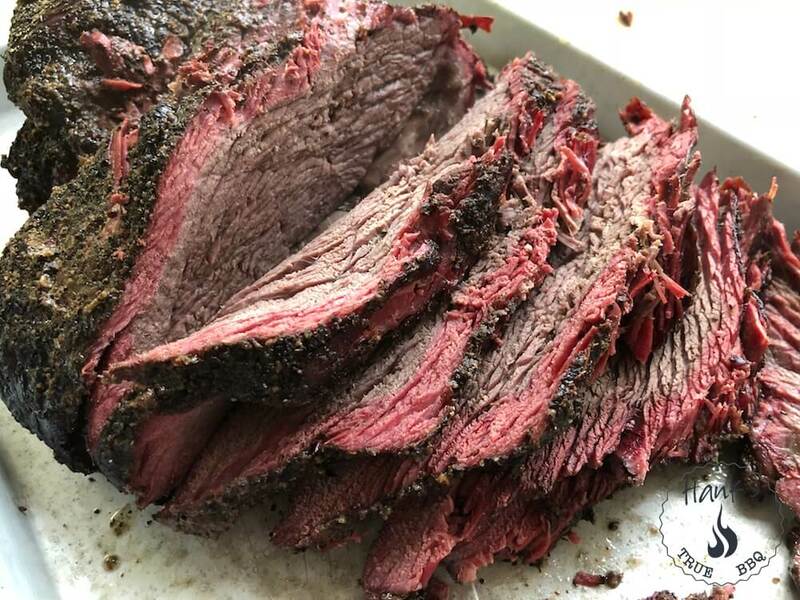 The chuck roast doesn’t need trimming usually. 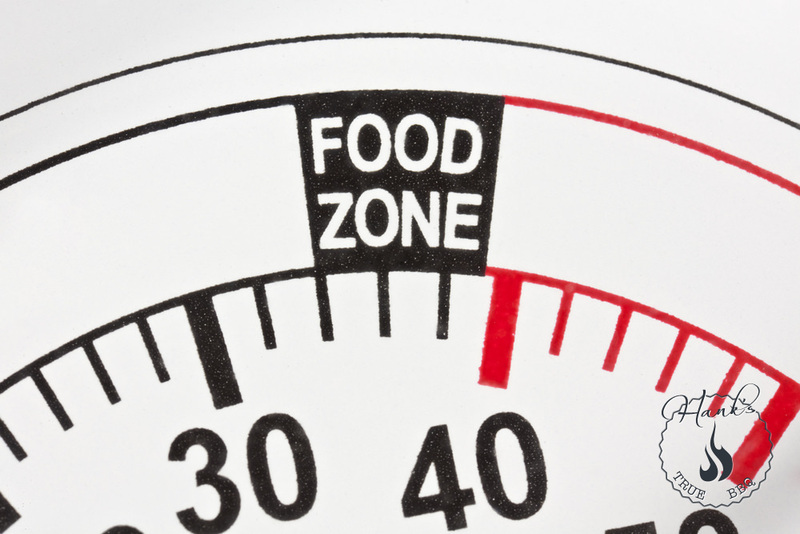 If you see a thin silver membrane somewhere, trim it off, but leave the rest of the fat. Now sprinkle the salt evenly all over the meat and leave it in the fridge overnight. This is called dry brining, and it amplifies the meat’s own flavor. Take the meat out of the fridge and sprinkle the black pepper evenly all over the meat, just like with the salt. Fire up your grill, prepare it for indirect grilling. Have it running at 250° F. Use the snake method if you’re using a kettle grill, or even better, a Slow ‘N Sear. Place the meat on the indirect side and close the lid. 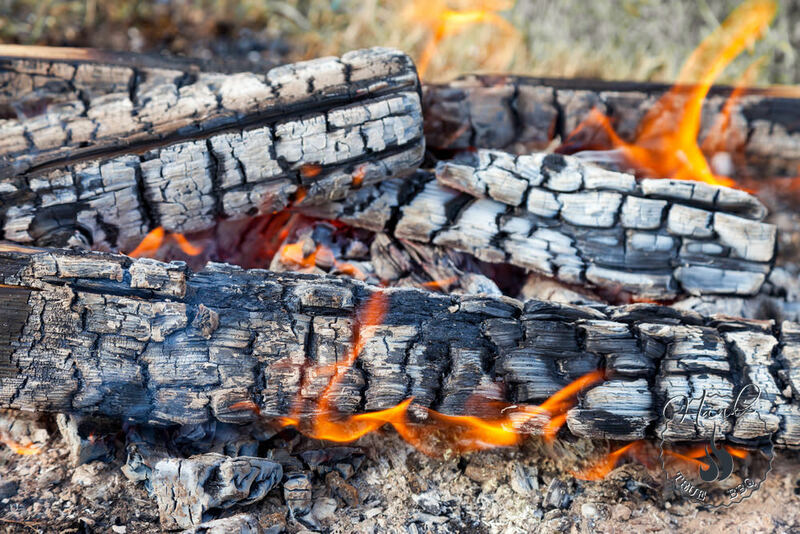 Add some wood chunks for smoking on the glowing embers. I used two maple wood chunks for this one, but apple, oak, pecan et.c. works just as well. 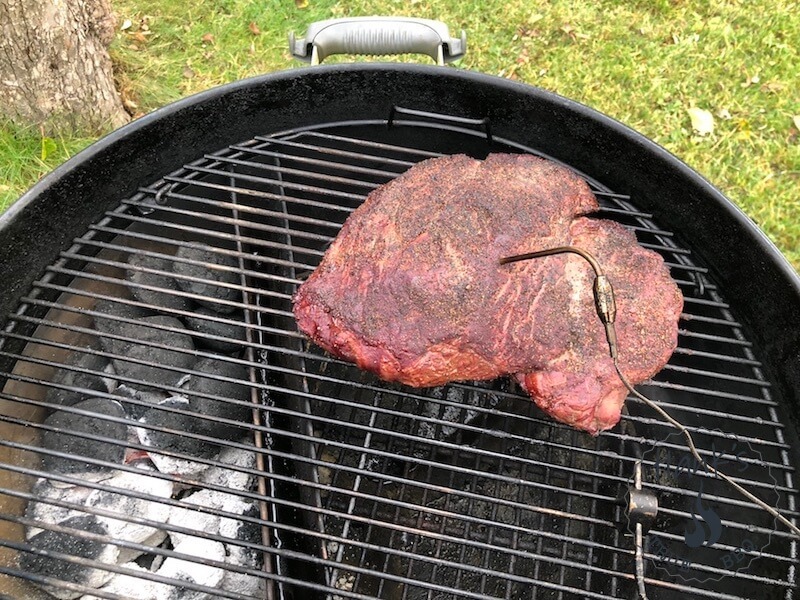 Monitor the meat temperature and look at the bark forming on the surface. When the meat temp hits 70° C (160° F) it is time to wrap it. 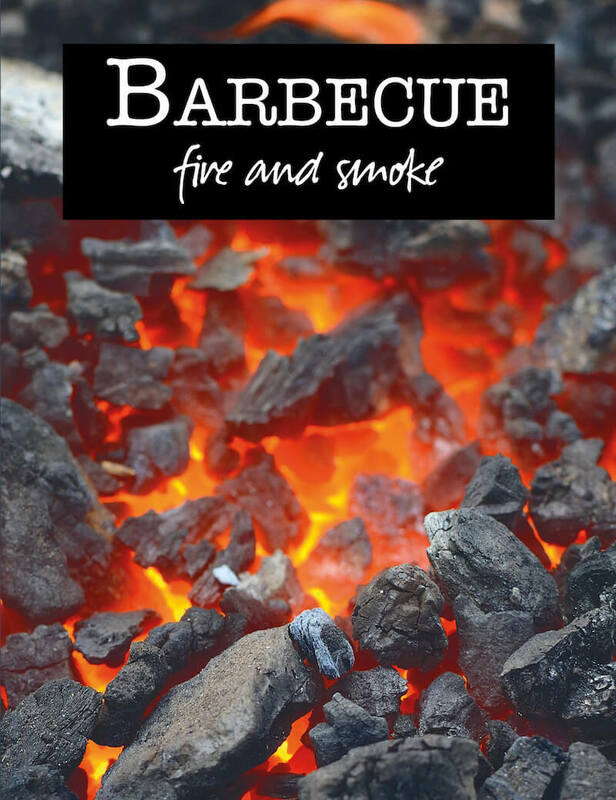 It usually takes 3 hours, but completely depends on grill temp and thickness of the meat. Wrapping is done to avoid drying it out. If you think it needs more bark, then leave it for another 30 minutes before wrapping. 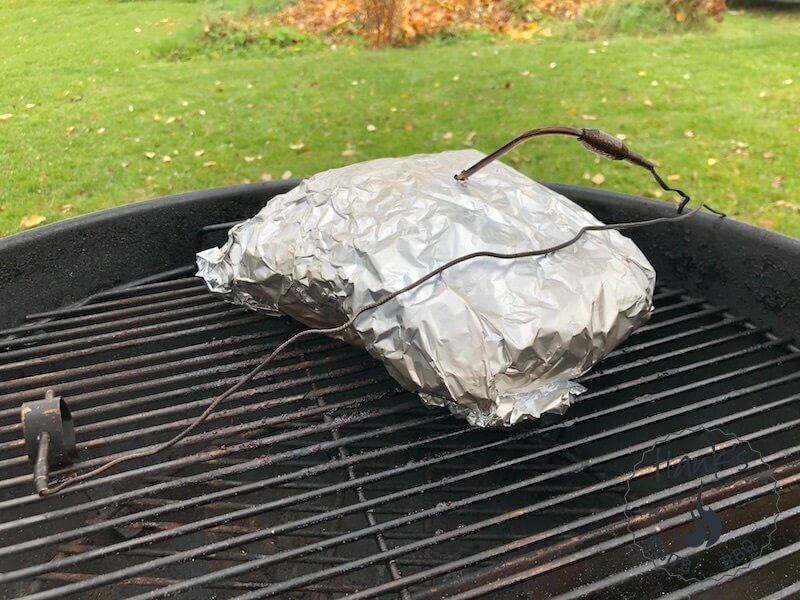 Use two large (and equal) size aluminum foil sheets. Wrap it snugly with the first, and then continue with the second. Place the meat back on the grill and continue cooking it until the internal temperature is 95° C (203° F). Remove it, wrap it in a thick towel (a faux cambro), and let it rest for 1 hour before serving. Now unwrap it save the juice that is collected in the foil, it has a wonderful flavor. Pour it back over the sliced meat and serve.